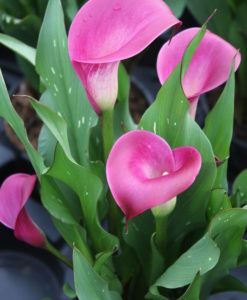 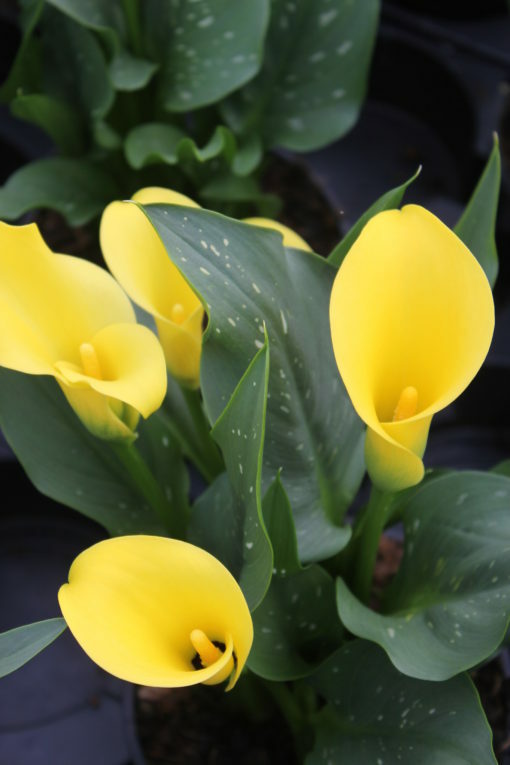 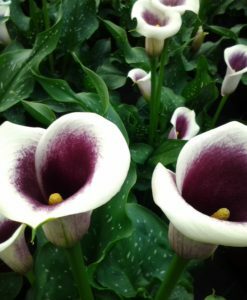 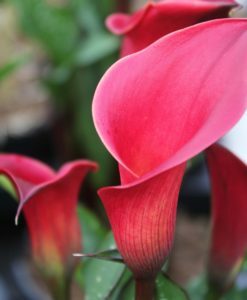 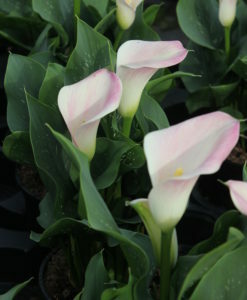 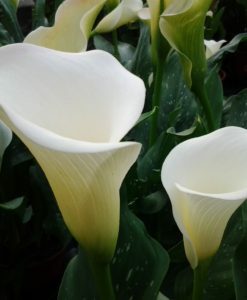 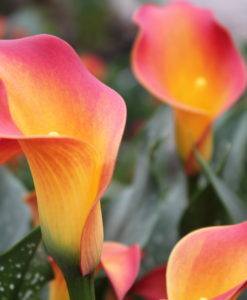 Zantedeschia Sunclub is a fantastic new bright yellow variety. 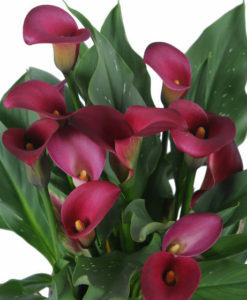 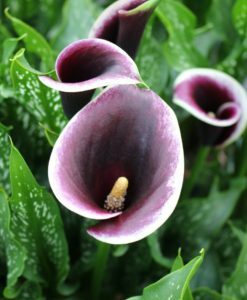 Flowers are slightly smaller than some varieties but what it lacks in size it makes up for in quantity. 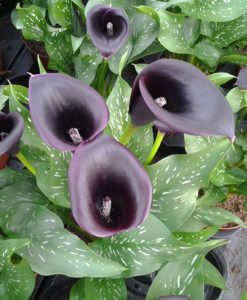 The flower is an intense yellow with a black spot inside for added interest. 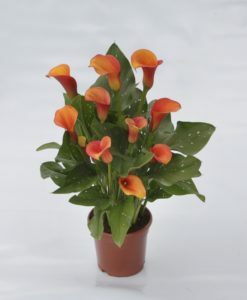 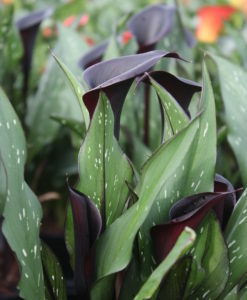 Sunclub is a great patio variety as it does not get too tall, reaching about 30cm in height. 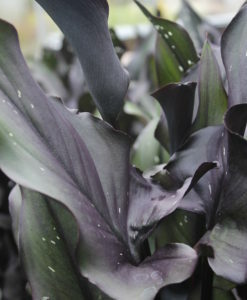 It has lightly mottled leaves of average size.